It’s difficult to enter into discussion about Chateau d’Yquem without waxing poetic about the castle’s illustrious past, its distinguished clientele and the ambrosial complexity of its precious golden nectar. 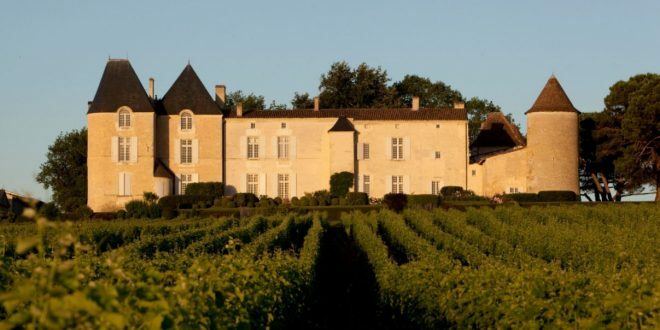 The estate’s history – an epic saga rich with colorful characters and events – begins long before its crowning moment in 1855, when it became the one and only Premier Cru Superieur in Bordeaux, not to mention the highest ranking chateau in Sauternes. Throughout the centuries, the property has passed from the King of England to French nobility, down several generations as a most precious inheritance. Let’s take a closer look at some of the chateau’s most important achievements, before getting to the good stuff: the inimitable style of its legendary wines. Chateau d’Yquem originally belonged to the King of England during the Middle Ages, when England still ruled over much of modern-day Bordeaux. In 1453, under King Charles VII, the region was brought under the dominion of the French crown and then in 1593 passed on to Jacques Sauvage, a descendant of a local noble family that would enjoy feudal tenure of the chateau before finally purchasing it in 1711. Even before claiming full ownership of the property, the Sauvage family began to make it into what it is today by constructing the chateau itself and replanting its vineyard with exclusively white grapes. Records show that by this time the practice of making wines from grapes affected by noble rot was already widespread in the region, and Chateau d’Yquem benefit from an ideal geographical location favoring an attack from botrytis. In 1785, Francoise Josephine de Sauvage d’Yquem married Count Louis Amedee de Lur Saluces, who passed away in an unfortunate riding accident just three years later. At this point the widow took over management of the estate, keeping it in the family during the challenging years of the French Revolution and furthering its international reputation. In 1826, she built a new wine cellar and, with the help of her steward Garos, perfected the technique of harvesting in several passes. The wines of Yquem had at this point attracted some very note-worthy fans, including Thomas Jefferson who visited the chateau and is said to have ordered 250 bottles of the 1784 vintage for himself and George Washington. In 1859 the Grand Duke Constantine and brother of Tsar Alexander I of Russia would spend a whopping 20,000 francs for a 900 L barrel of Yquem, which was nearly 4 times the price at the time. 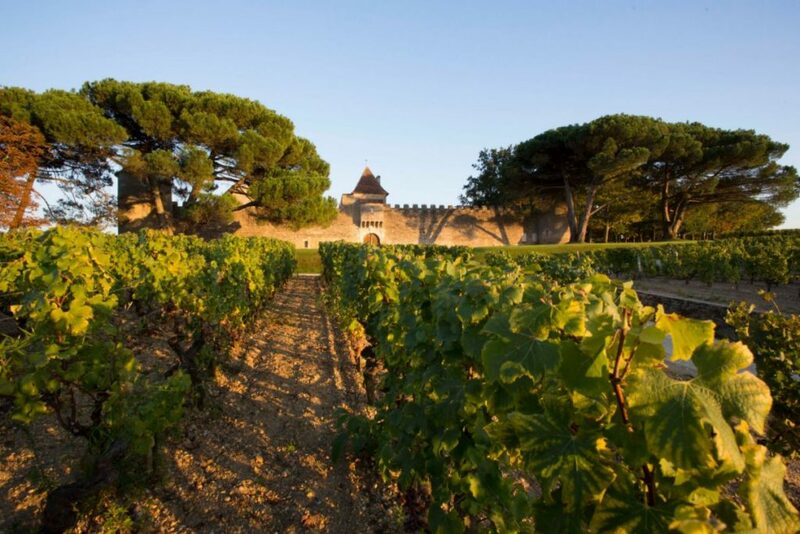 When Lady Yquem passed away in 1851, her grandson, Romain-Bertrand de Lur Saluces became managing director of the, at this point, legendary chateau. As manager of the property, he made several important improvements, including the construction of a drainage system that today covers almost 80% of the Yquem vineyards. It was under him also, that the chateau received the designation of the one and only Premier Cru Superieur in the famous 1855 classification of Emperor Napoleon III. During the second half of the 19th century the chateau prospered, expanding its international reputation and foreign trade as far as Japan. But then phylloxera hit at the end of the 19th century and during World War I, the chateau became a military hospital. After serving as an officer in the trenches, Marquis Bertrand de Lur-Saluces returned to his beloved estate and managed it for nearly a half century, staunchly protecting the family legacy through the harsh recession of the 1930’s and the Second World War, during which he was held prisoner for 2 years. In 1966, the estate passed on to Bertrand’s nephew, Alexandre de Lur-Saluce who brought the estate back to an even keel until it once again flourished. At the end of the 1990’s, the property was gradually acquired by LVMH, marking the newest chapter in the history of Chateau d’Yquem. 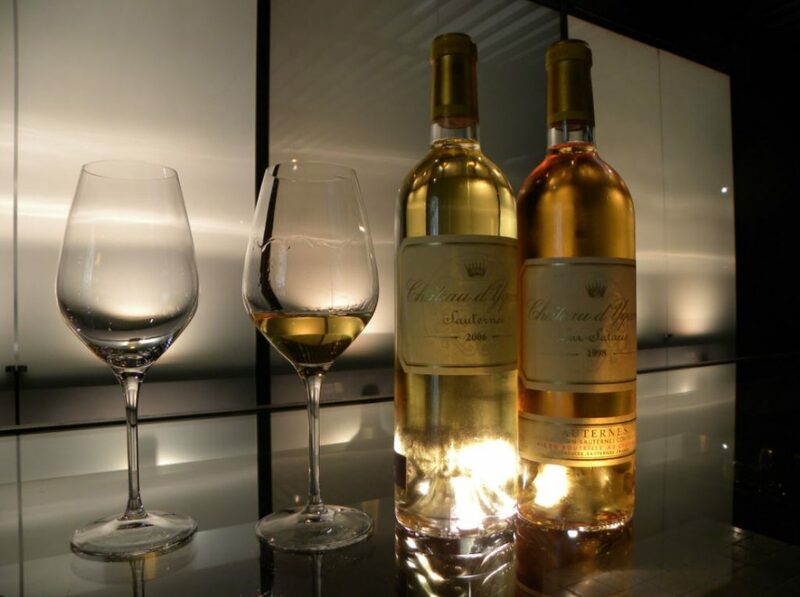 The vineyards of Chateau d’Yquem extend over 113 hectares, of which only around 100 produce grapes in each vintage. The rest of the vines are either undergoing a replant, left follow or growing to the point of meeting the strict standards of the estate for productive vines. The land is planted with 75% Semillon, which lends a structure and body to the final blend, and 25% Sauvignon Blanc, which contributes signature aromas for a more elegant finish. The vines are planted in a warm and dry topsoil of flat pebbles and gravel upon clay subsoil with good water reserves, which are drained out using the drainage system built in the 19th century. The soil receives close care, with regular earthing and un-eathing, receiving only organic fertilizers. The vines are severely pruned in the winter and green-pruned in the summer to control yield and maximize quality. Grapes are picked only after they have reached 20° potential alcohol (or 360 grams of sugar/L), and while the team waits, they run the risk of losing crops to the frosty conditions of late autumn. The harvest occurs only in vintages deemed worthy of the Chateau d’Yquem name, and is conducted in 5-6, even sometimes more than 10 passes. At the winery, the grapes are pressed 3-4 times and the juices of varying sugar contents blended before barrel fermentation in 100% new oak. Fermentation stops naturally when the alcohol content reaches 12.5° to 14.5°, depending to the sugar content of the must (the ideal being 13.5° with 120-150 g/l of residual sugar). 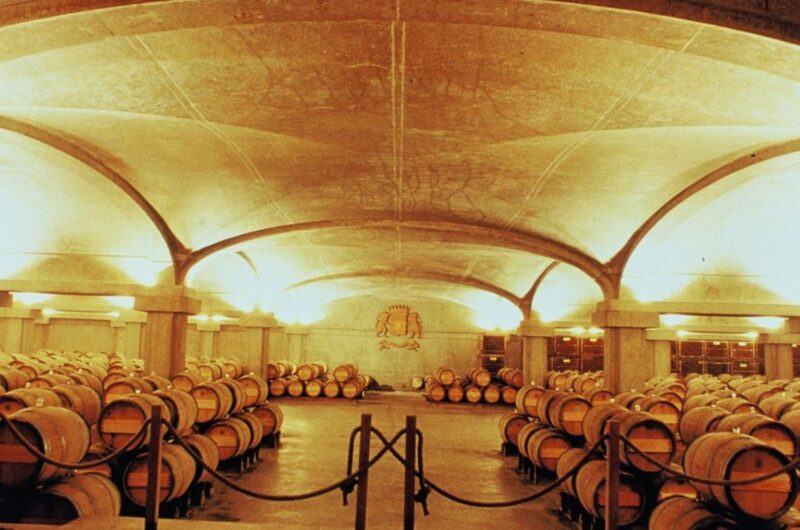 Each wine is aged 6-8 months, after which a preliminary blend is made and carefully tasted. If deemed acceptable, the barrels are moved to the ageing cellar where they spend 20 months, with 2 top-ups, 15 rackings and fining to remove sediments. Patiently waiting inside each and every sip of Chateau d’Yquem is an endless wave of complex flavors and emotions that resonate long before leaving the palate. It begins on the nose with notes of apricots, mandarin oranges and tropical fruit, perfectly integrated by the vanilla and toast of the oak. As it ages, the golden hue caramelizes into a rich amber. The bouquet develops dried fruit (apricots and prunes), stewed fruit and jam, along with hints of spice (cinnamon and licorice) as well as complex florals. In the mouth, the wine is smooth and luscious, coating the palate with its full body, which is voluptuous and powerful without becoming overbearing. Ageing it for multiple decades brings forth flavors of caramel, burnt toast and creme brulee. Each bottle achieves what is considered a perfect harmony between sweetness and freshness. And that harmony lingers long on the palate, too much to say about its history and conception to disappear any time soon. While the team at Chateau d’Yquem does its best to produce a wine each year, nature is sometimes not so generous. In fact, in the years 1910, 1915, 1930, 1951, 1952, 1964, 1972, 1974, 1992 and 2012, the winery declassified the harvest and did not make wine. Grapes that have already been infected by botrytis but have not reached the level of maturity required for an Yquem are used to produce the estate’s dry white “Y” cuvee, is sold as bulk or is used to create a wine just for employees. The most prized vintages of Yquem are: 2016, 2015, 2014, 2013, 2011, 2010, 2009, 2007, 2005, 2003, 2001, 1997, 1996, 1990, 1989, 1988, 1986, 1983, 1976, 1975, 1967, 1962, 1959, 1949, 1947, 1945, 1937, 1929, 1927, 1921, 1893, 1869, 1847 and 1811. The three vintages 1988, 1989 and 1990 are particularly famous. For more information on aged Sauternes and how to choose the right vintage, take a look at our article on Old Vintage Sauternes. The harvest of the year 2014 began early, on September 5th, and lasted in total 9 weeks. In this way the diversity of a year with very spread-out flowering and veraison was well represented. Almost 25% of the crop was brought into the winery before the 15th of September, providing a rare and precious acidity to the final wine. 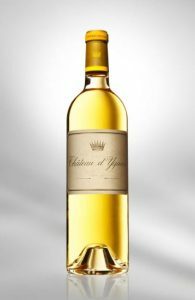 The 2014 Chateau d’Yquem reveals a captivating bouquet, with pure notes of wild honey mixed with almonds and white chocolate. On the palate this wine is incredibly poised, with an acidity providing the perfect balance. This is a vintage of great depth with a very precious acidity, unfurling notes of lemon sherbet, orange zest, ginger and white chocolate. The finish and aftertaste are extremely long and tender. The 2013 growing season was a one of tremendous contrasts in the Sauternes appellation. Spring was abnormally cool and wet, leading to a very spread out flowering, which usually results in complexity at Yquem. The summer was superb, followed by cool weather in September, which retained the freshness in the grapes. October was hot and dry, leading to ideal conditions for harvest. The grapes picked in 2013 were very “botrytised”, rich with candied fruit flavors. The freshness and power of the wine make it similar to the 2001 vintage, while the degree of botrytis most closely resembles that of 2007. The Chateau d’Yquem 2013 presents a deep, golden yellow color, which is lustrous and bright. In the nose, the wine presents remarkable aromatic purity, with aromas of fresh mango, linden flowers and ginger. When swirled in the glass, aromas of spices, a refreshing minerality, and fragrances of black tea come forward. On the palate, this wine is full of flavor, offering a gorgeous, fresh acidity and a mid-palate characterized by notes of white pepper, fresh pineapple, marmalade and hazelnut. The finish is powerful, with a nice acidity.